No match to talk about this week, but that hasn’t stopped up putting together a special show for you! This week, we complete our Proper Sport sticker collection as we are joined by Richard Shaw-Wright. 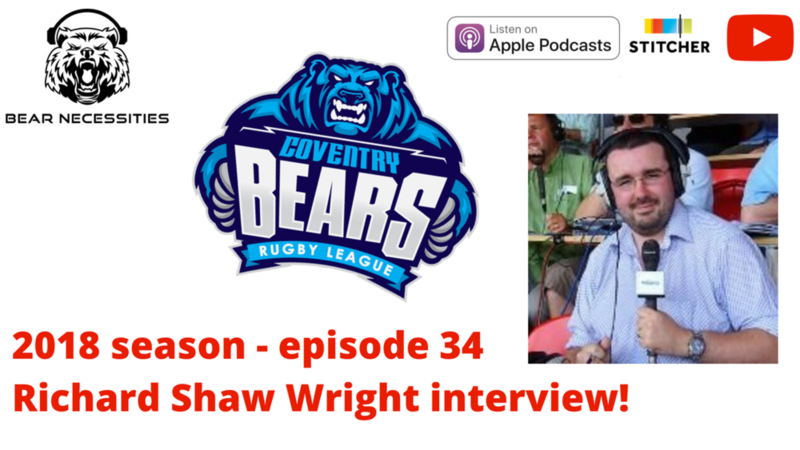 We talk about expansion, streaming, the growth of the women’s game and PDRL, and, of course, the Bears! We live at covbearspodcast.com and we’re @covbearspodcast on Twitter. You can find us in Apple Podcasts, Google Podcasts and on YouTube, and we’re sponsored by the Bears Vice Presidents and by Yorks Tim.